I find most schools have a very limited idea about what happens on their website. I’m always impressed when a marketing director can tell me their monthly site metrics, but unfortunately it doesn’t happen often. Besides knowing how many visitors you receive each month, it’s important to know where those visitors are coming from, how many unique and returning visitors you are receiving, and how those visitors are engaging with your website. That last point is critical. If you don’t know how your visitors are using and consuming your website, then you have no idea if your website is working. Here’s how to start measuring the effectiveness of your website. The easiest way to get site stats is to install Google Analytics. It’s quite a powerful stats engine and best of all… it’s free. That will give you the basic information on how many monthly visitors you are receiving. That’s a good place to start. Now for the critical site stat… Behaviour. I use a few different tools for measuring user behaviour including heat map tracking and page split testing, but there is also a feature inside Google Analytics called “Events”. This will let you measure when a user does things like click a link, or submit a web form. These are important things to measure as school sites typically have their fee schedule listed as a PDF download, or if they are clever, will have a web form process built in. If you aren’t measuring user behaviour, then you have no idea how well your website is performing and are missing out on critical data. I use Google Tag Manager to setup event rules and install Google Analytics. It is an advanced tool, and quite daunting for the casual user but well worth the effort to measure these critical user events. 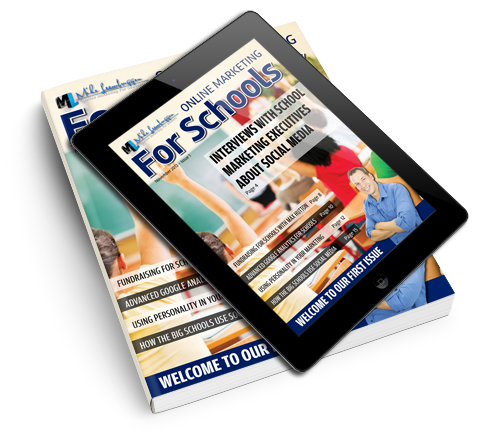 If you would like help setting up and measuring user behaviour on your website, then please send an email to mike@onlinemarketingforschools.com.